The Fall is full of opportunities for learning new skills and techniques. Here are 35 free professional development sessions that will be held live online this month. See: 35 Free Live Webinars for Librarians in October | Ellyssa Kroski – OEDB.org. 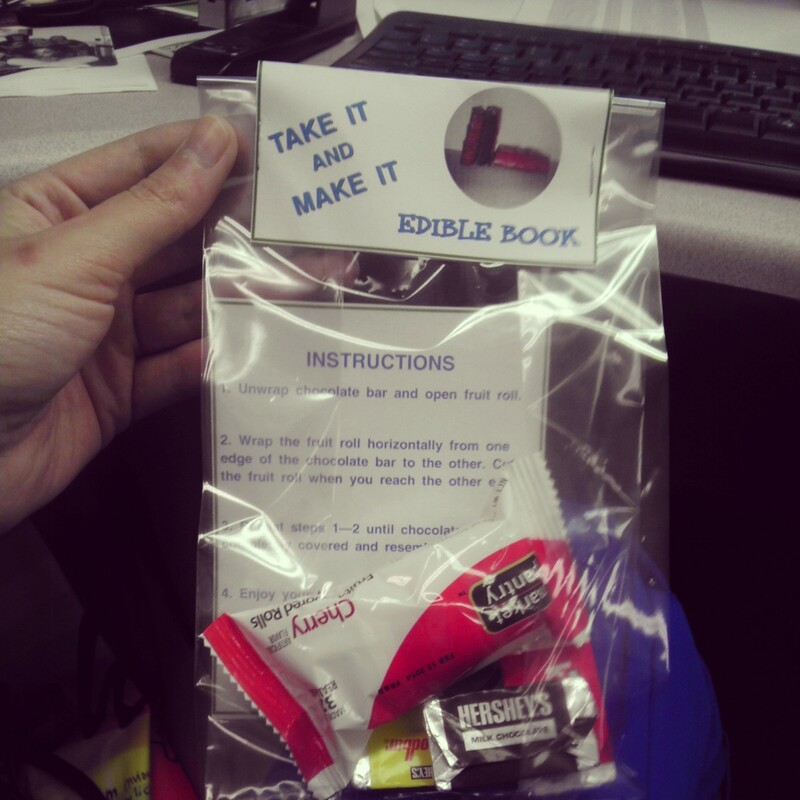 For Teen Read Week, I’m doing a Take It and Make It Edible Book Craft. Teens will sign out a kit (pictured to the left) that contains everything they need to make edible books at home. This activity will take the place of our monthly crafternoon meeting. I adapted the idea from something I saw on the Teen Read Week website. The project cost around $15 for about 25 kits. If you’re interested I’ve uploaded the files for the kit label and edible book instructions. I’ve got my fingers crossed that we get a lot of participation in Teen Read Week, the branches are collaborating on many activities and I really want to see some system solidarity success. A reporter from the local paper was here and I’ve been pushing some (but not too much) on our social media sites. We’ll just have to wait and see. I got busted reading The Pigman. Thanks for teaching it, Mr. Lemasters (wherever you are).